Is our current effluent pond crusted or heavily sludged? If yes, it may already be undersized? 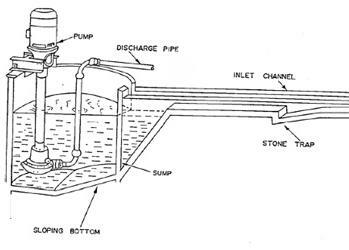 Does the current sump or solids trap have enough capacity to handle extra water/runoff? Is the existing pump sufficient to carry additional effluent to the storage ponds? Are existing ponds sited to maximise access to pasture to ensure an even distribution of nutrients? Will there be more pipe blockages? Good drainage will allow all-weather access, the collection of effluent run-off and reduce odour. Take account of rain falling on roofs, the feed pad and loafing areas. 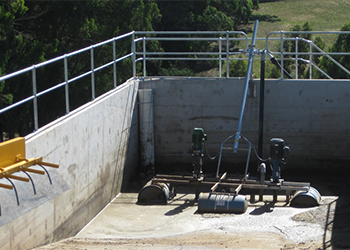 The period you need to be able to collect and store effluent until it can be safely re-used on pasture and crops. Periods can range from 92 days in dry regions to 180 days in wetter areas. Recommended storage period includes May to August when there is no irrigation water available for shandying.